In the olden days of poker –way back, before 2003!—the most prestigious tournament you could win was the World Series of Poker Main Event, and after that it was basically a WSOP bracelet of any kind. The more bracelets you had, the more accolades were heaped upon you. However, in today’s poker world with 50+ bracelet tournaments at the World Series of Poker each year, and a field size measured in the thousands for the Main Event this is no longer the proper way to measure poker tournament greatness. The WSOP Main Event is still the most prestigious poker tournament in the world, but now there are a number of other events around the globe vying for that #2 spot; in this article I’ll list the top 5 tournaments that players would most like to win, and that bring with them the most prestige. 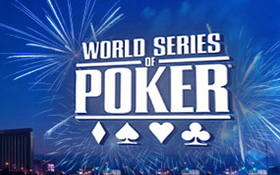 The World Series of Poker Europe is a relatively new tournament series, but almost immediately the Main Event was looked on as one of the most prestigious titles to win thanks to the WOP brand. The WSOPE Main Event basically thrust Annette Obrestad into the limelight, and year after year has attracted the biggest names in poker. The EPT has become the most popular poker tour in the world, and its Grand Finale/Final is the crown jewel on the tour. The only reason it ranks behind the WPT Championship is because the buy-in is set at €10k and not higher. The Aussie Millions has been around for a long time –it started way back in the 1990’s!—and over the years has become a major destination for poker players around the world. Pretty much anyone who is anyone in the poker world books a flight to Australia in January. The WPT Championship is the only major tournament title that has a buy-in above $10k, and because of this the field size tends to be smaller, but also more formidable. Winning the WPT Championship is far and away more prestigious than any other WPT title –unlike the EPT Grand Final which is basically another –slightly bigger—stop on the tour. The WSOP Main Event is still the crème de la crème of the poker tournament world, and although you could make a case for any of the above listed tournaments as the second most prestigious in the world, when it comes to the #1 spot it’s not even close. This entry was posted on Sunday, May 22nd, 2011 at 1:00 pm and is filed under Poker News. You can follow any responses to this entry through the RSS 2.0 feed. You can leave a response, or trackback from your own site.